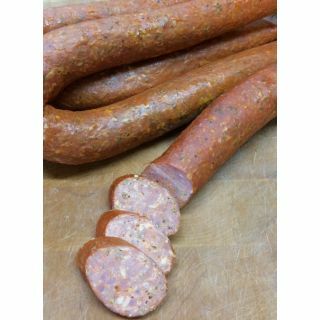 Our traditional smoked beef and pork kolbassi sausages are handmade using Willie’s Smokehouse high quality meats. We select only the finest cuts of meat to make our flavorful sausages. 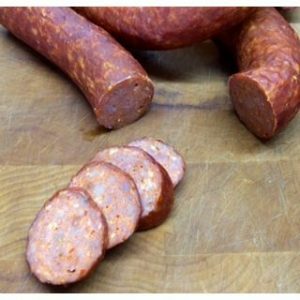 Enjoy these smoked beef and pork kolbassi sausages in your favorite dishes or grill them up for a delicious sandwich. These sausages are great for grilling, especially for a large party. Packed with powerful smoky flavor, our beef and pork kolbassi sausages will leave you satisfied and your taste buds singing. Try some today!